The saltbox-style roof allowed the designers to really direct attention towards the outdoor area on one side. The modular home is situated in an urban area, so this design also gives the occupants a lot of privacy from the neighbours. We love the two different outdoor paving options used here. 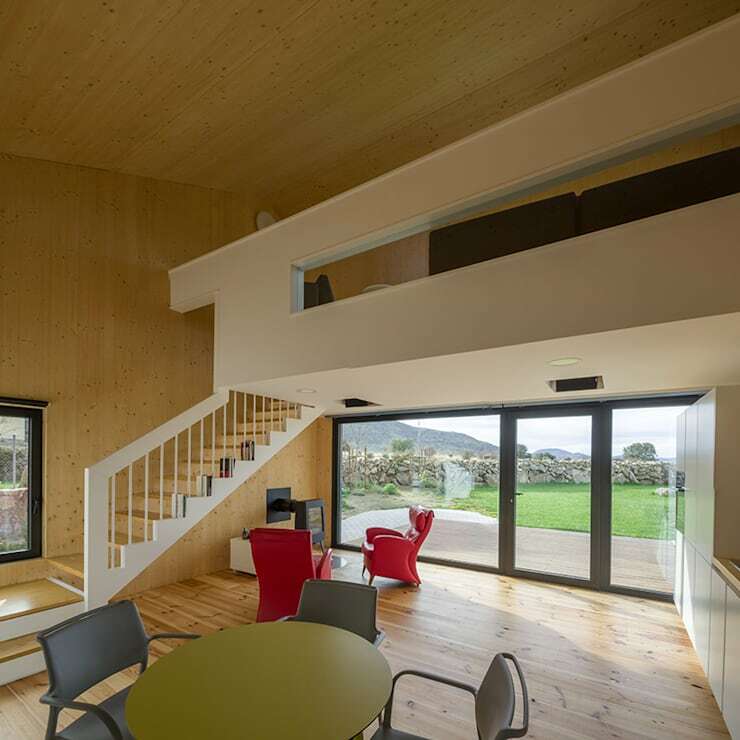 They integrate the home into the slightly sloping shape of the land in a very subtle way. 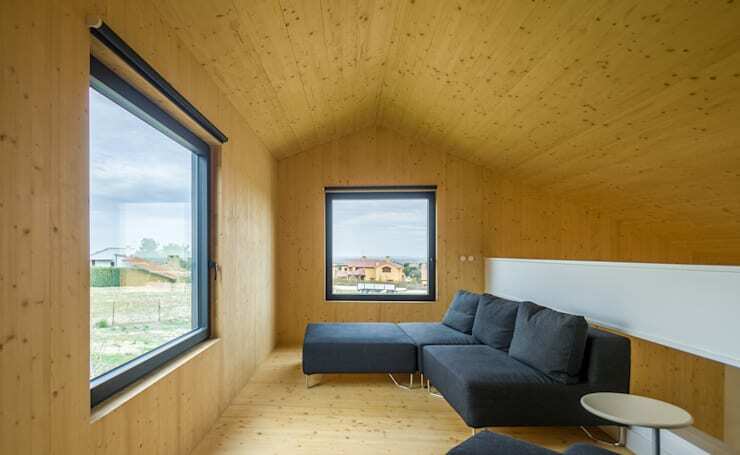 Although this is a factory-made modular home, large modifications like this can be made to suit the features of various properties. The ground floor is arranged as an open-plan layout. 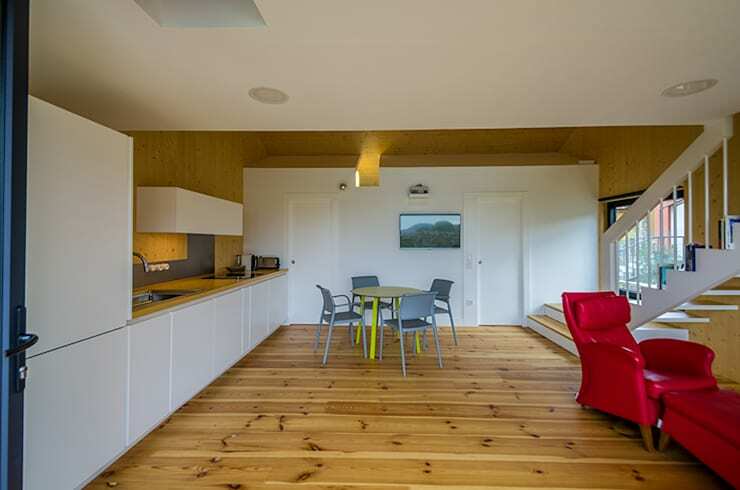 Here we have a combined kitchen and dining area that covers a mere 26m2 of floor space. In front we have the entrance door and a second that leads to the bedroom. This main living area has been designed with a simple modern white kitchen that runs along one length of the wall. This keeps the main walkway area clear and makes the room feel uncluttered. The decor has been minimally furnished and finished with white walls, ceilings and timber features. Wooden materials and white surfaces are always a good combination. They work particularly well to create warmth in a minimalist interior. This is the same room at the same angle we were exploring a moment before. 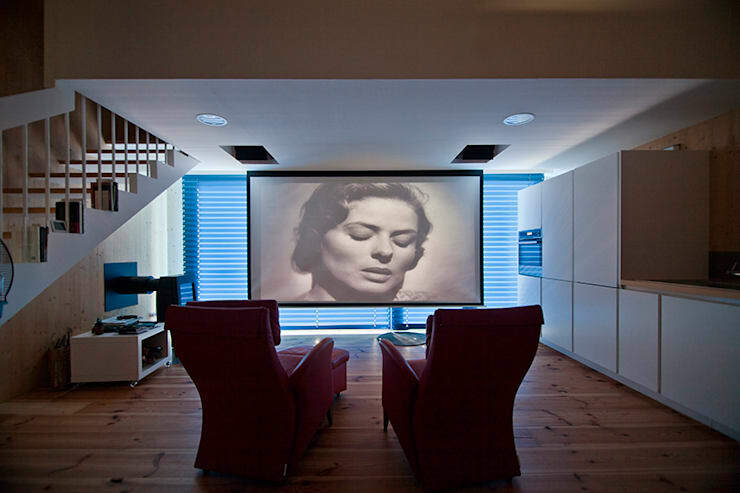 The large sliding doors have been closed off and a hidden screen has emerged from the ceiling to create a great home theatre. This just goes to show that no matter how small a home, with flexible design it's still possible to have a few luxe features in every home. Finally, see the audio-visual system built into the ceiling. It's easy to overlook, makes the space uncluttered and creates the opportunity for a seamless transition. To finish our tour, we'll explore the simple rustic bedroom. This room overlooks the front of the property and has been cleverly separated from the rest of the home. It has built-in cupboards and an en-suite bathroom with a sliding door. These all help whittle down the floor space to a mere 10m2. 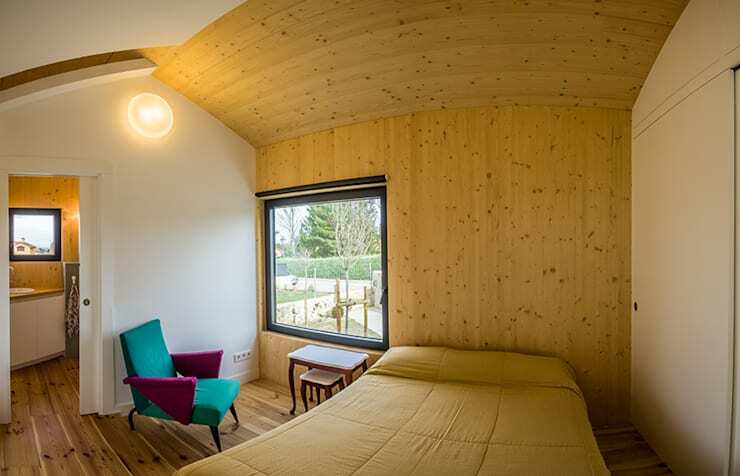 Finally, every bedroom needs to feel cosy and warm, so the floors, walls and ceilings are finished in pale wood. For more small home inspiration, check out: 7 clever features of one-room apartments. 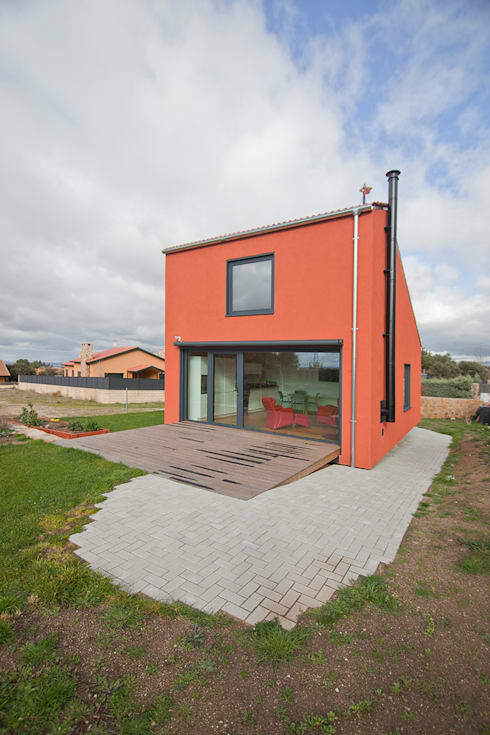 What do you think of the efficient use of space in this small modular home?